The importance of compliant record exchange is underrated, and the process is underappreciated. At ChartRequest, we take both very seriously—just like you. We’re here to help you simplify the administrative tasks involved in medical records management and release of information while staying compliant. The result? Increased security, improved efficiency, and better communication for you and your organization. Overseeing medical records management can be complicated. The good news is, our cloud-based platform simplifies the release of medical information—making life easier on patients and providers. 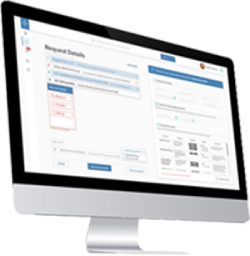 Leverage our platform to consolidate records requests, and stay compliant. Answering phone calls. Responding to emails. Talking with patients in person. Sometimes medical records management involves hours of unnecessary communication. 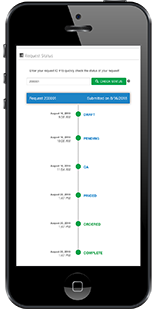 Use ChartRequest’s online tracking to reduce time-consuming status updates so you have more time for critical projects. 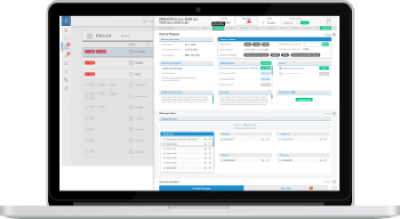 Prove your organization’s HIPAA compliance with a digital audit trail for each request. 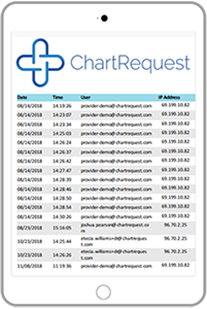 You’ll also keep tabs on request turnarounds to hold providers accountable for their response times. Discover how to collaborate with other providers through ChartRequest.